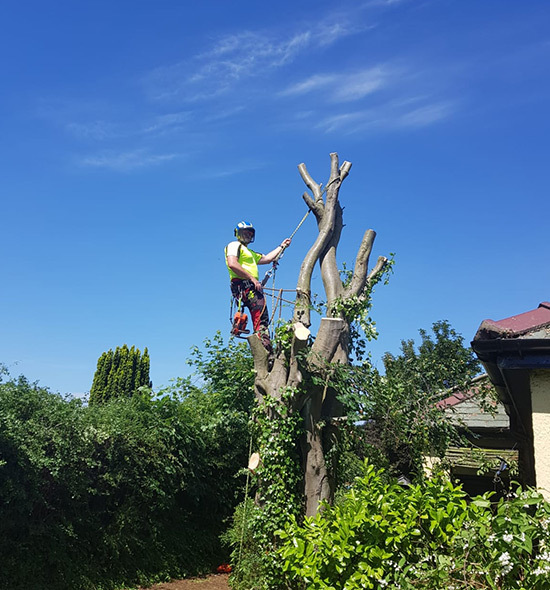 Axcess Tree Services are specialists in tree removal and tree felling services; being able to remove any species and size of tree safely, efficiently and under difficult and demanding surroundings. 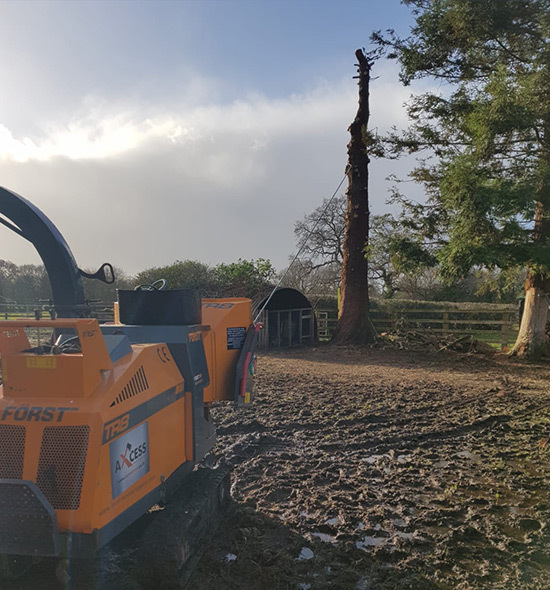 A variety of tree removal methods can be used including sectional dismantling, directional felling, specialist winch operations or the use of cranes. All tree removal and tree felling work is carried out in accordance with the British Standard 3998:2010 ‘Recommendations for tree work’. Our domestic tree felling and tree removal services operate throughout Wrexham, Ellesmere Port, Wirral, Warrington, Liverpool, Chester, Shrewsbury, Nantwich , Oswestry and all surrounding areas within the counties of Cheshire, Shropshire and Wrexham. Axcess Tree Services can assist with checks and applications for work. Section felling will be used in situations where there is a risk of damage occurring to any property or harm to the public. The work consists of the entire removal of the tree, in sections. If a delay between felling and stump removal is to occur, the stump will be left at a minimum height of 1.5 metres (to ensure it is not a trip hazard). Section felled trees will be dismantled using the step cut, break off and controlled throw method with the use of lowering ropes. Trees to be straight felled will be guided by the use of pulling ropes and felling wedges as necessary to ensure the correct direction of controlled fall.